The latest trends in home interiors feature floor lamps not only as a delicate light source, but also as a major decorative element, suitable for any room. Here’s a truly impressive example. 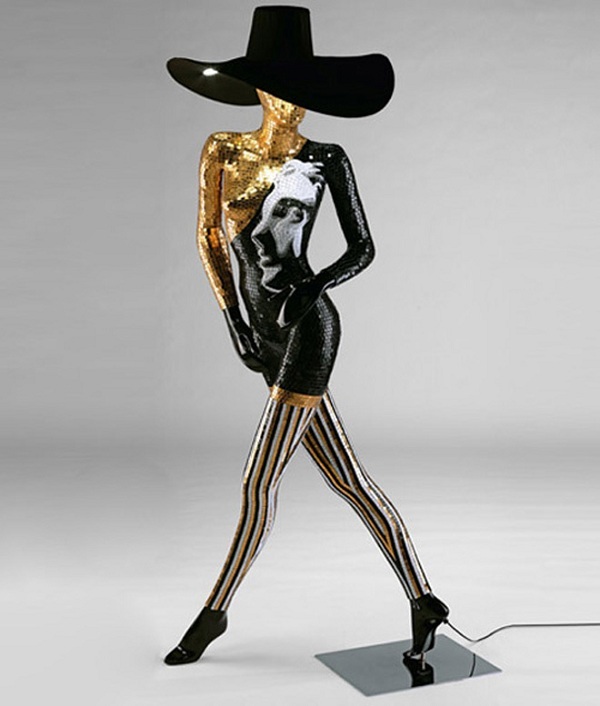 The modern lamp design we are presenting today is inspired by the beauty of the female body, and it looks like a sculpture rather than an ordinary torchiere. This contemporary piece of art is made by the Italian designers from Sicis by successfully mixing modernism with functionality in one. 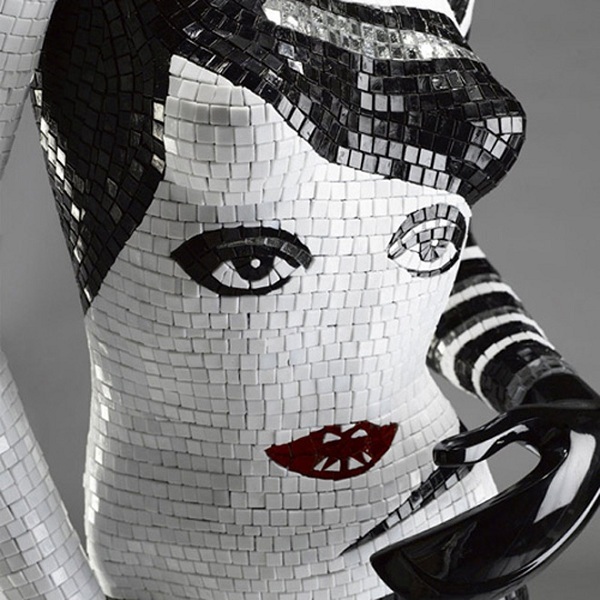 Each variant of the unique lamp represents a body of an elegant lady in a feminine pose, covered with fine mosaic, and using energy saving LED lights positioned in the hats. The color palette varies, mainly in black and white, silver and gold. Some parts are made of transparent glass to emphasize the beauty of the silhouettes. A feeling of luxury wrapped in a soft light – just enjoy!